Crossrail awards contract to ship excavated material to Wallasea Island - Crossrail . For information about the Elizabeth line please visit the Transport for London website. Crossrail today awarded the contract to ship excavated material arising from Crossrail’s construction to Wallasea Island, Essex to create a new RSPB nature reserve. This innovative project aims to combat threats from climate change and coastal flooding by recreating a wetland landscape. It will also help to compensate for the loss of similar tidal habitats elsewhere in England due to rising sea levels. Crossrail will provide around 4.5 million tonnes of excavated material to RSPB generated from the construction of tunnels, shafts and stations. Crossrail tunnelling will commence at Royal Oak in March with the first ships containing the excavated material arriving at Wallasea Island during summer 2012. The contractor will be responsible for shipping excavated material from Instone Wharf and Barking Riverside in east London and Northfleet, Kent to Wallasea Island. 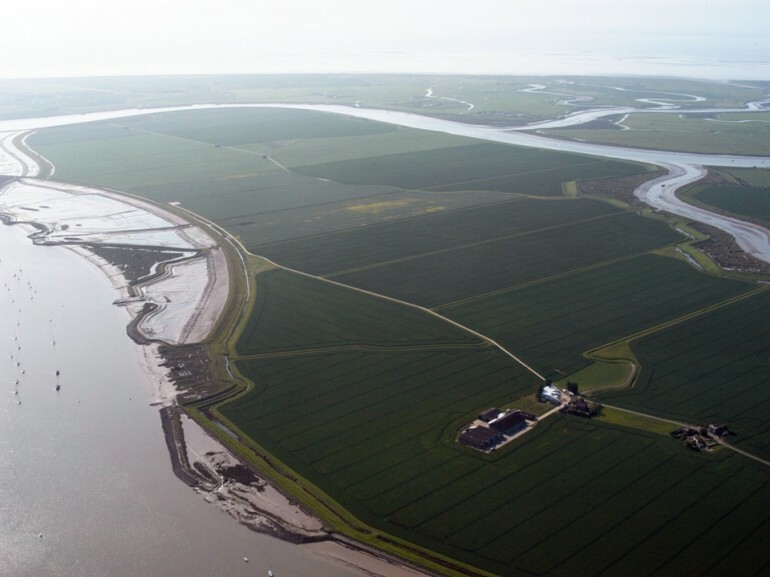 Crossrail has also worked with the Crouch Harbour Authority to fund a major improvement to the buoyage in the area to minimise the impact on waterways connecting to Wallasea Island. Navigation buoyage between Whitaker Spit inwards and Burnham Fairway has been increased from 16 to 30 lit buoys. The new larger buoys provide better visibility and increased safety for users of the River Crouch. Excavated material generated from the tunnelling operations for the western tunnels (Royal Oak to Farringdon) will exit at the Royal Oak Portal and be transported by freight train to Northfleet, Kent. Excavated materials from the eastern running tunnels will be loaded onto ships directly from the tunnel conveyor surfacing at Instone Wharf on the Bow Creek. Material arising from shafts and stations will be brought by road to Crossrail’s Docklands Transfer Site at the Barking Riverside jetty. Tunnelling for Crossrail will produce in the region of 6 million tonnes of excavated material. The RSPB will require 10 million tonnes of excavated material to create the new 1,500 acre nature reserve - one of the largest new wetland nature reserves of its type in Europe for some 50 years. Crossrail will provide close to 4.5 million tonnes of excavated material to the RSPB. Wallasea Island is located eight miles north of Southend-on-Sea, Essex. The excavated material will be used to raise existing land levels and also create raised areas within the existing island sea walls. These walls will later be opened up at certain locations to allow tidal water to flow in and out of the island, creating natural wetlands over time. The contractor will also be responsible for creating tidal structures within Wallasea Island to enable water levels to be precisely managed in certain areas. The C807 contract is worth in the region of £50m. The contract (C806) to construct the jetty at Wallasea Island was awarded to BAM Nuttall. Construction of the new jetty is currently underway and will complete next year. The jetty is sized to take two ships of approximately 2,500 tonnes atthe same time.